Thankfully, mercifully even, the other ten songs on ‘Reckoning’ range from good to great. Easily the best track, ‘Fighting For My Life’ is brilliant, big and unashamed AOR that showcases the talents of Hitchcock’s hired help as much as Toby himself. Tackling a piece of melodic rock that falls somewhere between Red Dawn and Takara, the guitars are placed high in the mix with Michael Palace offering some great muted chords and a terrific solo, while Xorigin’s Daniel Flores adds some fantastic pompy keys. Coupled with a fine chorus, it’s everything that the big and bombastic end of the melodic rock scale should be. The same goes for ‘Serenity’, a tune that instantly grabs a hold of a gargantuan melody, before making it bigger still with unashamed whoahs and stabbed keys aplenty. By the time Palace steps forth with a solo full of fluid melodic charms, it’s pretty much everything you’d want from the style. Obviously, the addition of Michael Palace is a huge plus throughout this album: he’s a player who not only understands how to fill instrumental breaks very tastefully, he’s one of the few faces on the scene at the time of this release who has managed to release a couple of albums that are almost as good as twenty first century AOR has ever been. ‘Behind The Lies’ begins with a massive guitar riff which is then joined by an almost equally huge wall of keyboards. It’s quickly obvious that Hitchcock’s hired help is of a great pedigree, with Michael Palace throwing out more big, chugging guitar riffs that always ensure nothing feels too sugary, while the Survivor-ish ‘Don’t Leave’ comes – unsurprisingly – with a ‘Don’t Walk Away’ styled riff, with Palace working a mid-paced chug to perfection, whilst a wall of bell-like keys fill a big chorus with even bigger sounds. Straddling pure AOR and pomp, this number is one of the album’s most accessible tunes, particularly since Hitch dials his voice back a few notches on the chorus. Featuring a world of harmony vocals, a soaring guitar and emotive lead vocals, the track’s closing section also represents the very finest example of the pompy approach favoured by the band. Using huge and driving rhythms throughout, as if old Shotgun Symphony and Street Talk tunes have been put through their paces and re-imagined in a more theatrical style, ‘This Is Our World’ shows off the entire band in good form once more. Hitchcock, of course, booms throughout – perhaps a little too over-confidently – but providing you’re in the mood for something that often sounds like the mid 90s melodic rock resurgence applied to a piece of musical theatre, it’s more than grand. If that theatrical edge appeals to you, ‘This Is The World’ might also become a firm favourite. A definite throwback to the debut, in some ways it is far too pompous, especially with Toby approaching each syllable at full volume during the verses. Or so it seems… Arriving at the chorus, he reaches within and pulls out his stage voice, turning up the volume at least another three notches. It could’ve been unlistenable, but thankfully, some brilliantly arranged backing vocals and a fine guitar solo very much save the day. ‘Promise Me’ is easily another album stand out, presenting a multi-layered intro where a punchy keyboard sound is joined by yet more keyboards, before an enjoyable melodic verse shows off the quieter end of Hitchcock’s voice. The way his confident delivery rolls off Palace’s guitars and drives a big, fist-clencher of a chorus to top everything could be classic Hitchcock. As with a couple of the other numbers, though, if anything makes this truly stand out, it’s Palace’s guitar work and his featured solo – shifting from busy fretwork to a jagged rhythmic style and back again – is one of the album’s finest moments. With more focus on keys, ‘Gift of Flight’ is a softer number in many ways, but a near-perfect approach to a pre-chorus with a nod to Toto and a classic sounding chorus are all that’s needed to make it, indeed, fly. There are various moments here that hark back to the Palace debut from 2016 (never a bad thing) and Jeff Scott Soto’s work with Takara and W.E.T., almost guaranteeing genre fans will love it in an instant. Not always understanding the old adage that less can be more, Toby powers through most of ‘Reckoning’s material at full volume and if you’re not in the mood that might be problematic, but there’s no escaping the fact that he’s been given some great material to work with here. Throughout the eleven songs, Michael Palace plays like a champion and Daniel Flores channels a world of early 80s pomp, leading a band that’s not only brilliant but also entirely empathetic to the vocal performances. 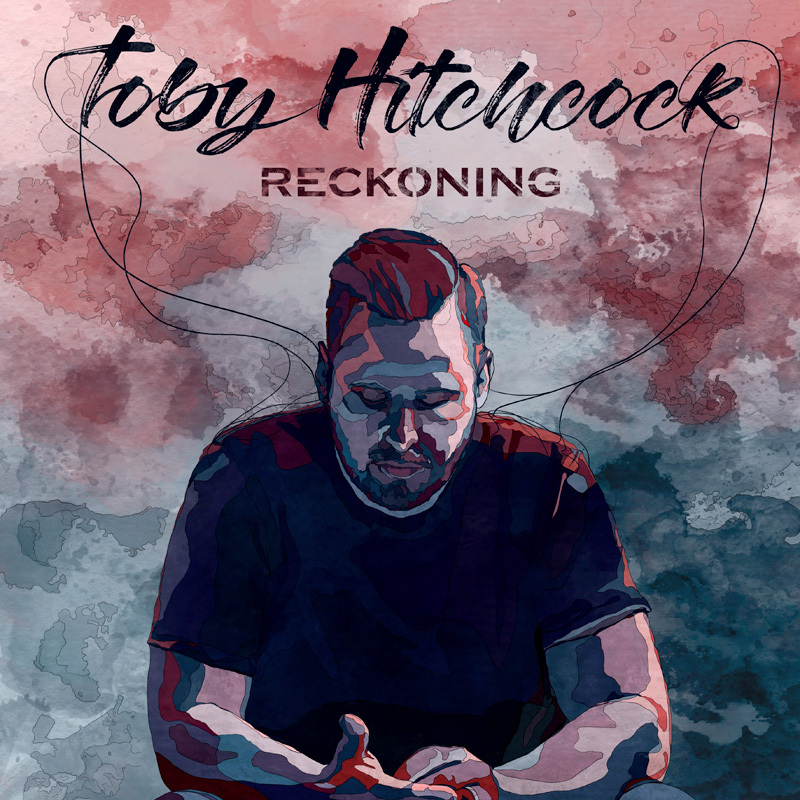 ‘Reckoning’ never tries anything new, but it’s easily the best record Toby Hitchcock could’ve made…and has ever made. This entry was posted in Album & EP Reviews and tagged aor, daniel flores, frontiers records, melodic rock, michael palace, toby hitchcock by Real Gone. Bookmark the permalink.